With its title, this collected volume defines three foci, each of which will be covered in detail in the publication: It is about slavery, slave trade and the eastern Mediterranean. This explains, for instance, why regions north of the Alps that were missed by a previous review are not negotiated in this volume. A further focus becomes clear from the structure of the volume: Apparently, the studies gathered here are starting to dispute, or at least to sufficiently differentiate, the theses on the topic put forward by Andrew Ehrenkreutz (Strategic Implications of the Slave Trade between Genoa and Mamluk Egypt in the Second Half of the Thirteenth Century). 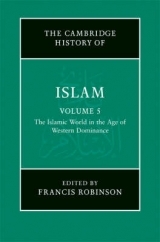 The reader might be astonished, on first sight, to find only two contributions under the section 'The Mamluk Phenomenon', while the editors emphasize Mamluk Egypt as a central topic in the preface. 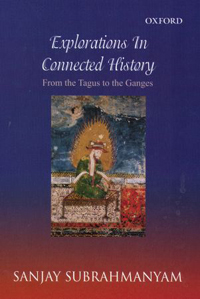 Reading the entire volume, however, it quickly becomes evident that practically all of the case studies are part of a tangle of tension between the Latin trading cities, the Mamluk sultanate and the transshipment centres on the Black Sea and in present-day Ukraine. 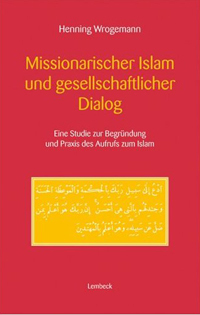 The first part "Religious and Cultural Contexts" contains four contributions (Norman Housley, Kurt Franz, Miriam Frenkel, Johannes Pahlitzsch), which contextualize normative principles that shaped notions and forms of slavery in the three monotheistic religions that characterized the region. While Housley dissects the impact of papal interventions in the legitimation of the enslavement of imprisoned 'Saracens,' Kurt Franz in his comprehensive contribution not only examines concepts of slavery in the normative writings of Islam, but also discusses the relationship between norms and social realities. He convincingly calls the research community not to downgrade practices of slavery in favor of a concentration on normative ideas. Rather, it is necessary to recognize practices that often contrast religiously set norms and to consider them on equal rights. With this he takes the same line as Behnaz Mirzai in her monograph also discussed in this issue (A History of Slavery and Emancipation in Iran, 1800-1929). On the Iranian example, she shows slaving practices developing relatively independent of religious norms. Finally, Franz tackles the problematic concept of 'Islamic slavery', which has recently been discussed more and more critically. Miriam Frenkel presents case studies which strongly question Ehrenkreutz' theses concerning the role of Jewish traders in the Mediterranean slave trade. Documents from the Geniza impressingly show that the trade in humans was anything but a routine matter for Jewish traders. Rather, slave trade appears to have been a high-risk business that was conducted only occasionally. With Johannes Pahlitzsch's investigation of the Byzantine position, a last fundament is finally laid for the thorough understanding of the following case studies: Although Genoese documents today are virtually the only sources allowing the study of Byzantine participation in the Mediterranean slave trade, it can be concluded that Byzantine traders participated strongly in it, especially in the 15th century. In addition, the Byzantine Empire played an important role in the legitimation of the slave trade to Islamic Egypt as a 'transit country' for merchant ships. The two articles by Yehoshua Frenkel and Amir Mazor in the second part ('The Mamluk Phenomenon') deal with the origin of the Mamluk phenomenon in Egypt and the acculturation, education and training of the Mamluks. Frenkel raises the thesis that by the end of the 15th century, Mamluks fostered a kind of 'family migration' from their Crimean homelands to Egypt. 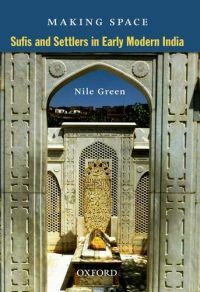 This, he argues, led to a change of the original system in which only enslaved people from outside the Mamluk realm were fitting for the regeneration of the ruling class. With six contributions, the third part ('Latins in the Eastern Slave Trade') appears to drive the volume strongly towards the Latin part of the Mediterranean. On closer inspection, however, this impression proves to be deceptive. 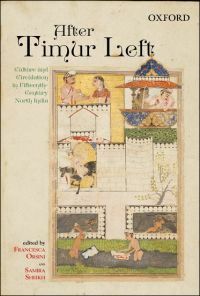 Each of the authors (Michel Balard with two contributions, Danuta Quirini-Popławska, Georg Christ, Ernest Marcos Hierro, Annika Stello) concentrates on a specific Latin player in the Mediterranean slave trade. The attentive reader will soon know the names of transshipment points, trade routes and in some cases even the traders, clergymen and notaries from whose pens the source material originated. The contributions all base on source material partly published and partly excavated in Genoese, Venetian and Crimean archives. Unfortunately, this rich body of Latin sources is opposed by far fewer documents on the Mamluk side (here Arab historiographers serve as informants). Annika Stello examines the existing sources for Caffa and can show that the preserved documents are suitable for critically questioning the results obtained from the Italian archives. She points out, for example, that the documentation of transactions was a Western custom, while merchants from Asia Minor, Egypt or Syria were also active in the slave trade, but left incomparably fewer written traces. Stello also calls for the sources to be regarded as texts in their own right and not for European travel reports to be misinterpreted as absolutely objective and truthful fact collections. She shows that ship registers and notarial documents require critical reading: By no means could all 'heads' or 'souls' counted in passenger lists, for example, be regarded as slaves, since these lists often do not distinguish between free and unfree passengers. Despite these findings, which probably also concern the results of the previous case studies (a discussion of this point in the preface would have been ideal), even the few sources obtained from Caffa can still achieve interesting results. Thus, Stello reconstructs a remarkable trade route, which led slave ships from Caffa to Asia Minor and back, obviously with the same human cargo. Here, she is able to uncover a pre-modern form of 're-labelling' human commodities. Since there were restrictions in all religions involved regarding trading in fellow believers, these detours probably served to convert the slaves into a religion that could be better sold to the intended customer. 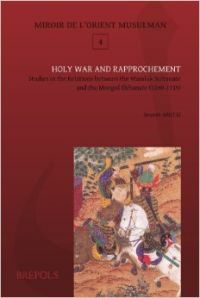 In the fourth and last part of the volume ('A New Look at the Ehrenkreutz Thesis'), Reuven Amitai, Jenia Yudkevich, and Christoph Cluse now explicitly dedicate themselves to a critical examination of Ehrenkreutz, with two of the three contributions once again focusing decidedly on Mamluk Egypt. Not only this last section, but the entire collection shows an astonishing abundance and diversity of ways in which players from all sides of the Mediterranean influenced the slave trade. Many of them obviously did not act as 'full-time' slave traders or even in an established trading system. Rather, slaves appear to have been a difficult to trade, risky commodity that was only trafficked as part of a mixed range of goods. In addition, there is ample evidence that occasional trade in individual slaves was conducted by traders and travellers, sometimes even seamen, as a high-risk commodity with a high profit potential. 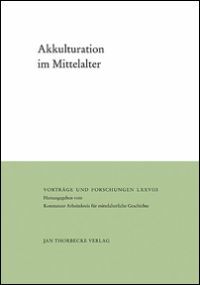 Having read the volume, even though there is no final summary of the results developed by the group, the reader will be far from considering the Mediterranean slave trade between 1000 and 1500 CE in the rather broad-brush way the Ehrenkreutz theses did. A previous reviewer complained that the volume, due to its long journey from the initial conference to its publication, no longer pays attention to relevant literature after 2014. In fact, there have been a number of relevant studies in the field of Mediterranean slavery since then (such as Stefan Hanß / Juliane Schiel (eds. ): Mediterranean Slavery Revisited / Neue Perspektiven auf mediterrane Sklaverei, Zürich 2014.) which could have been taken more into account. 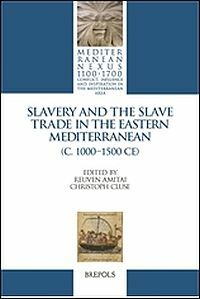 Nevertheless, this volume is a milestone on the way to a comprehensive exploration of the Mediterranean slave trade as part of a diverse and fragile trading system in which various players participated. As the editors state in their worth reading preface, the volume opens up numerous paths for further research, which can and must be conducted both through in-depth case studies and in further transdisciplinary research. This volume is a must-read for those who are interested in such projects. 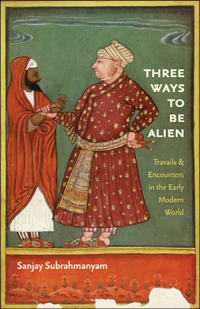 Due to its reader-friendly structure and the extensive integration of interesting source findings, it is also highly recommended for readers with a general interest in history.